Brown spirits have one major drawback: maturation takes time. It takes years until a cask of whisky, rum or brandy has become mature enough to be bottled. So it is no wonder that people try to think of ways to make this process go faster. Wood extraction is responsible for the colour of the spirit and also donates aromatic components such as vanilla or nutty flavours and aromatic spices. When casks are used that previously held other liquids, as is common for Scotch whisky, their residues in the wood pores will also contribute. The air in the warehouse can penetrate the casks and interact with the spirit. It is mainly the oxygen that changes the spirit over time by oxidising many different compounds. And finally the various molecules within the liquid are reacting with each other to form new substances. There are quite a few distillers who are using special methods to speed up maturation. Also there are wooden gadgets sold that are supposed to “enhance” already bottled spirits. To the best of my knowledge all these methods focus on the wood extraction part of maturation entirely. 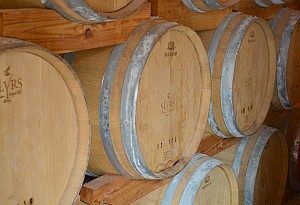 Many distilleries use smaller casks to benefit from the increased surface to volume ratio. If a higher proportion of spirit is in contact with wood, then more wood components can dissolve in the spirit in a given period. One of the pioneers has been Laphroaig who use quarter casks to finish some of their whisky to great acclaim. It has become popular for newly founded small “craft” distilleries to completely mature their spirit in small casks. But some producers go even farther. Tuthilltown for example subjects their casks to low-frequency sound that is supposed to agitate the liquid and promote better extraction. The Cleveland Whiskey Company takes young bourbon and puts it into a pressurized tank together with the cask wood. Others use wood chips to increase wood contact of the spirit. Such speed aged products are often described as having undergone years worth of maturation in only a few months. But as we can see above, such statements are misleading. It is indeed possible to extract a lot of wood flavours in a very short time. But all the other maturation processes are not accelerated at all. Young whisky for example typically has a somewhat rough cereal character that is generally regarded as not very pleasant. This will only mellow out in the cask over the years. Strong wood flavours can mask this youthful character but they can not make it disappear. This does not mean that it is impossible to produce a good tasting spirit with accelerated wood extraction. I have tasted some very good ones, but also some that are frankly lousy. You just should not make the mistake to call such a product “mature” because it is not. There is only one way to speed up everything, and even this is not perfect. Cask maturation of a spirit is the effect of innumerable chemical reactions. Any reaction has a specific speed or reaction rate to be more exact. This is governed by the laws of chemical kinetics. All the wood extraction speed-ups don’t actually change the kinetics by making individual molecues react faster, they just increase the number of molecules that can react with each other in a given time. The one factor that indeed alters the reaction rate is temperature. This is a universal law for chemical reactions. So the higher the temperature in the warehouse, the faster the maturation happens overall. A very good example for this phenomenon is the whisky from Amrut in Bangalore, India. It takes only three to four years until their whisky has reached a degree of maturity that is comparable to 12 year old Scotch. But before you jubilate, there are two tricky things to consider. Firstly higher temperatures mean higher evaporation. The annual loss is significantly higher in a tropical climate. But even if you ignore the angel’s share, the final spirit will be markedly different when matured at higher temperatures. The reason for this is that every chemical reaction rate has a different dependency on the temperature. As a rule of thumb, an increase of 10 degrees Kelvin/Celsius increases the rate by a factor of 2 to 4. As a result, the balance between the various flavour compounds in a matured spirit will be different at different maturation temperatures. So we can see that due to the laws of chemical kinetics it is indeed impossible to create the exact same spirit in a shorter time by any method of acceleration. hi Oliver good to see you do not quit alltogether. There used to be a Seagram’s Museum page where you could read about such things but it seems it is no longer up. I have always believed that all these claims of fast maturation just seemed like hokey pokey, with a higher emphasis on hokey. India, or other warm weather climates do not have the temperature fluctuations found in Scotland, Kentucky, or Canada that allows the spirit to soak into the wood and then back out again. That adds to maturity. In my opinion this summer/winter “pumping” of casks that is often cited is just a myth. You have constant temperature fluctuations between night and day everywhere that cause wood pores to expand and contract a little every day. The overall amplitude may be bigger in moderate climates, but the higher mean temperature in tropical regions more than offsets this. If I remember right, I’ve seen reports that some rum distillers heat their warehouses at night to smooth out the temperature variations and reduce the rate of oak extraction. From what I understand of the article, is that there is only one reason to want the whisky to mature faster and that is making more money. The makers are no longer interested in making a good or fantastic product, they only want to make more money and faster. That’s a shame. Just returned from a week tasting in Cognac France. They simply say that most distillers never see the final result of their work. You create lots of barrels with a spirit voor your children and grandchildren. Patience is the secret to make a great product. Not tricks to fool the consumers. I think the easy analogy with heat is from cooking: despite everything cooking faster if you heat it up more, we often cook with lower heat because it reduces unwanted side-reactions. Raising the temperature doesn’t just speed up the same reactions that happen at lower temperatures, it also makes possible reactions that almost certainly would not have happened at lower temperatures and dramatically changes the endpoint.